After you updated driver, if Windows did not start successfully, the driver might have problems. It may be incompatible with the operating system, has conflicts with other drivers or has bugs. Follow instructions here, then you will enter Windows again. Since the system cannot start successfully, you are required to enter Safe Mode to perform the instructions. So first, enter Safe Mode. After entering Safe Mode, try methods below. Press the Windows key and R (at the same time). A Run dialog will appear. Type rstrui.exe in and click OK. 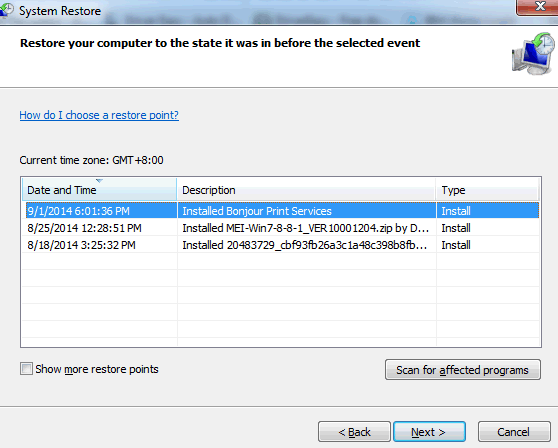 The system restore window will appear. Choose to restore to an earlier time (before you updated the drivers). Click on Next. Click on Finish. Press Win+R(Windows key and R key) at the same time. A Run dialog will appear. 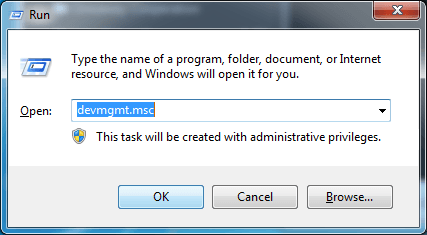 Type devmgmt.msc in the run box and click OK button. Then Device Manager will open. In Device Manager, expand the category and locate the device which you updated and caused the problem. 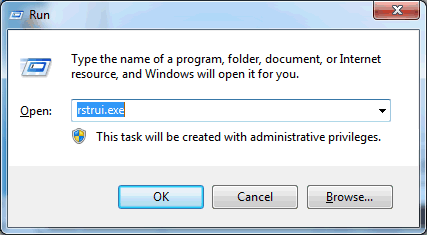 Right-click on the device name and select Uninstall on the context menu. Following screen shot is for your reference (Different device will be listed under different category.). 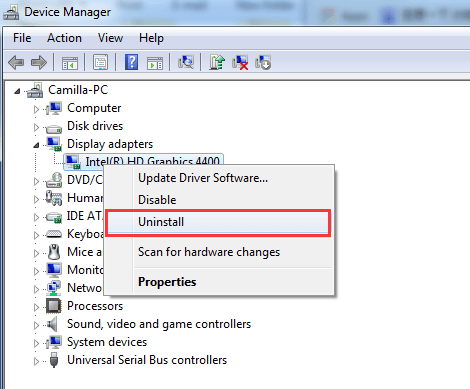 Windows will prompt you to confirm the uninstallation. 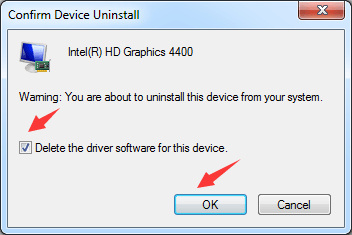 Check the box next to “Delete the driver software for this device.” Click OK button. Restart your PC as soon as possible. The final fix is to reinstall windows. Back up your files before your reinstall the system as reinstall might destroy everything on your hard drive. If you are not sure how to install right drivers, you can use Driver Easy to help you. Driver Easy will help update the drivers automatically. It always provide the right drivers to ensure your PC always remain safe. With it, you don’t need to spend much time online searching drivers and you don’t need to know much about drivers. To update drivers, all you need is click your mouse one time.